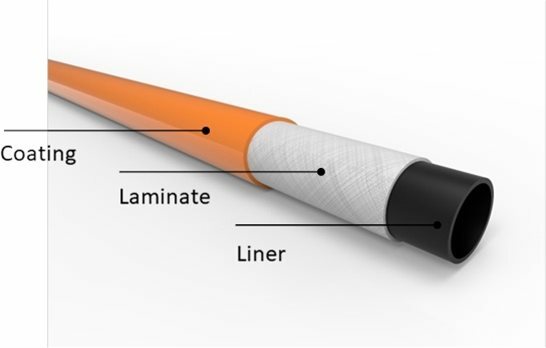 Deepwater Risers, Flowlines, and Jumpers from Airborne Oil and Gas - Society for Underwater Technology in the U.S.
How Thermoplastic Composite Pipes (TCP) from Airborne Oil and Gas are paving the way to safer and lighter offshore and subsea infrastructures? Airborne’s Thermoplastic Composite Pipe is a field proven technology for riser, jumper, and flowline applications offshore. It is fully bonded, lightweight, spoolable, and does not corrode. The end-fittings are simple and can easily be installed “on demand” anywhere in the world. These very versatile pipes are true enablers for the most challenging environments. 15ksi internal pressure, 3000+m water depth, 1.5 to 8in ID, sour service, 4000+m continuous length. Does it sound familiar to you? Oil companies around the world have already demonstrated their confidence in Airborne and our state-of-the-art design and manufacturing capability. Join us for lunch to know more about the great potential of TCP from Airborne. Caroline Justet joined Airborne Oil & Gas as Business Development Manager – Americas in September 2018. Prior to this, she was Technical Sales Manager Offshore for Vallourec, a steel pipe supplier. Caroline has over 11 years of experience in the Oil & Gas industry, predominantly in Subsea. She has held various positions during her career, including flexible pipe manufacturing and installation while working for Technip (now TechnipFMC). She has also handled several high profile international projects from tendering to delivery, and developed tight relationships with the Oil and Gas industry, especially in America. 575 N. Dairy Ashford Dr.